Along with the new blog design, I wanted to update my business cards. I needed to bring some cards to Alt Summit anyway so now was a good time to ditch the old cards and get a brand new look. 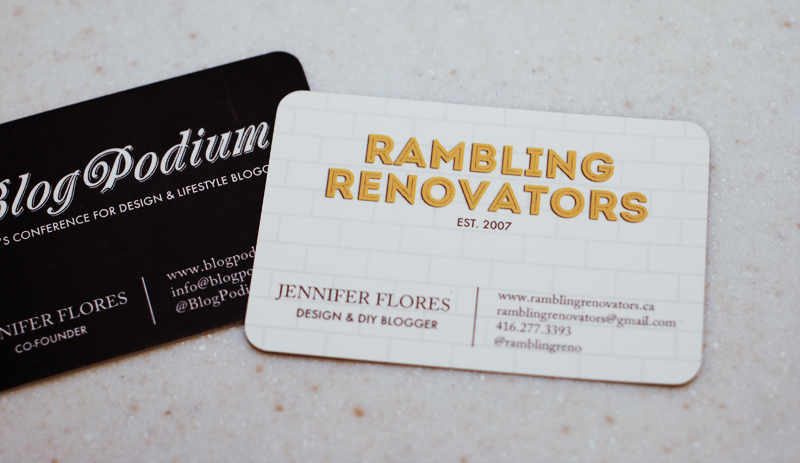 The only issue was that I wanted to let people know both about the blog (Rambling Renovators) and the business (BlogPodium). How to do that without having to carry around a gajillion cards? A two-sided business card of course. I knew I wanted the cards to be distinct but similar and speak the same language. 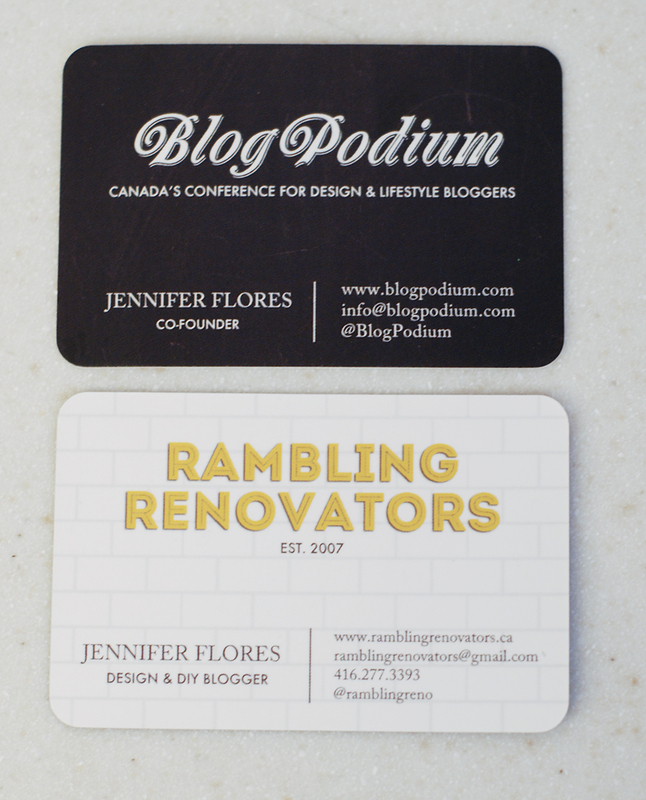 BlogPodium and Rambling Renovators have their own clear brand and feel but they needed to be tied together in some way, to show that they related to one individual (me!). A tough thing to achieve - especially since I was coming up with a rebranding of Rambling Renovators at the same time! Add to that the fact that I didn't want the cards to be overwhelming and contain too much information. So I started with the backgrounds first. For BlogPodium, we'd already established the chalkboard background (a nod to our purpose as an eduction resource of sorts for bloggers) as our look. Using a white font (its like chalk!) made sense. With Rambling Renovators, I decided on a subway tile background. 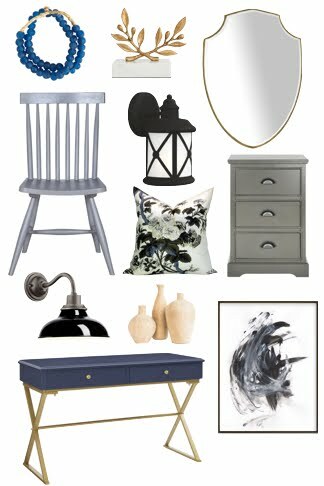 You can find subway tile throughout my house and its clean, classic look is compatible with what my blog and design style is all about. 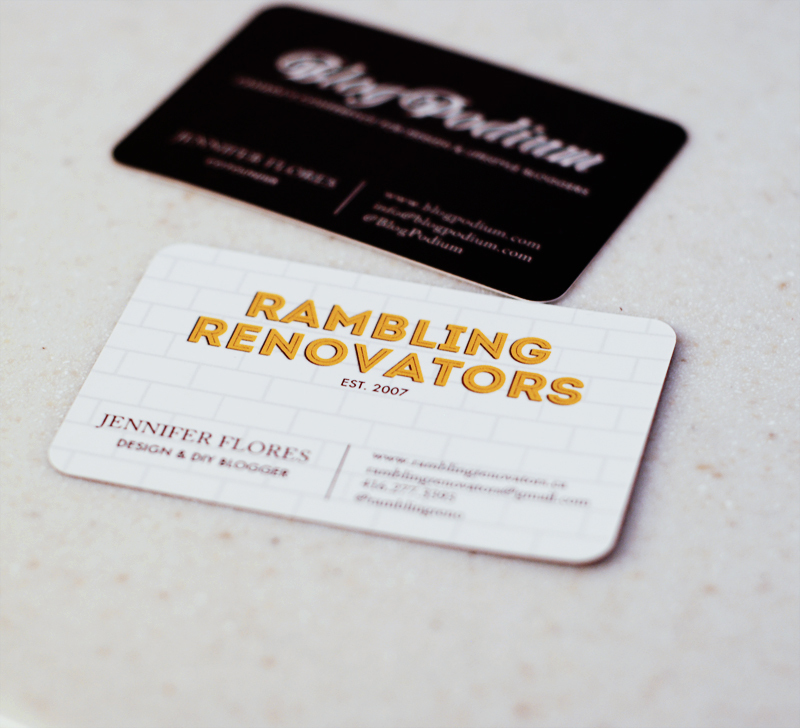 With one black background and one white background, the card felt very crisp and modern. I was on the right track! So that's it. A very long-winded explanation of my business cards. I had these cards, as always, printed by Moo.com. If you follow that link, I get a referral fee but you also get 10% off your first order. I love the Moo card stock (thick and matte) and the rounded corner option so much I can't help but keep going back to them. 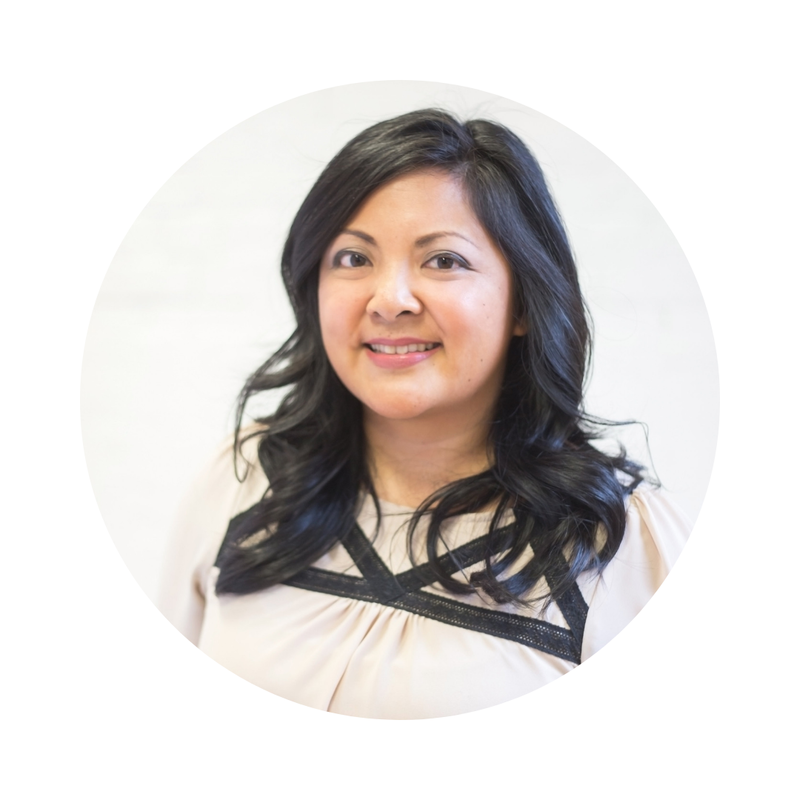 Do you have business cards for your blog? Or any cards at all? Maybe business cards are passe in this age of social connection and will disappear like the dinosaurs. These are awesome cards! So simple but yet so effective. Jen, these look great! I love the idea of incorporating the 2 and I think these are very 'you' ! The cards look amazing Jen. I really love the rounded corners. It was fun to catch up with handyman at IDS on Thursday night. Hope you are having a great time at ALT. These look excellent! I love the contrast between the two sides, and the use of negative space. I've never heard of Moo before but I'm definitely checking them out - I'm thinking of doing business cards soon for my non-blogging life and this'll come in handy! looks great! you will have to get me one of your new cards! I want to redo mine as well! Moo ... i have to check it out! Love these looks. I am working on a new business card myself, and this provided a lot of inspiration. I'll have to check out Moo too. Thanks! I love Moo! I also took advantage of their double-sided option and used the back of the card to showcase some of my designs. This is so motivating!! I really need a business card because people never remember urls or even phone numbers these days! I hope your having fun at Alt & these are a big success!! I'm working on a "re branding" and I think when that's done I'll finally take the plunge and get some business cards. I'm a slow mover though, so who knows how soon that will be! Your card looks great! I really like that you incorporated both entities. I've had a number of friends order their cards through Moo.com! I've been really impressed with the quality. And, their website is full of inspiration.